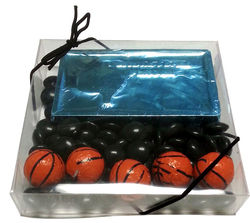 Hoop It Up with this basketball theme kit! 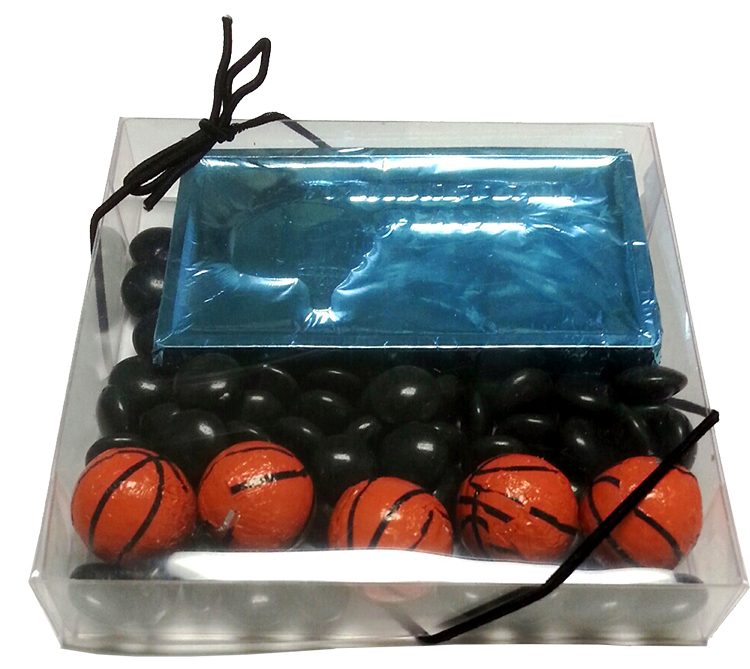 Clear box contains five chocolate basketballs and one chocolate bar with #1 Basketball Player embossed on the bar. All on a bed chocolate gems in your team colors. 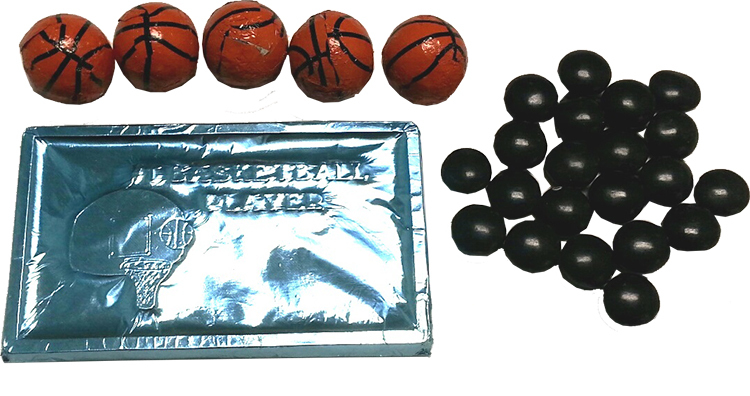 Makes a great food gift or sporting event promotional giveaway. Includes up to 4 color process imprinted label applied to the box. Available in: Milk or Dark Chocolate.